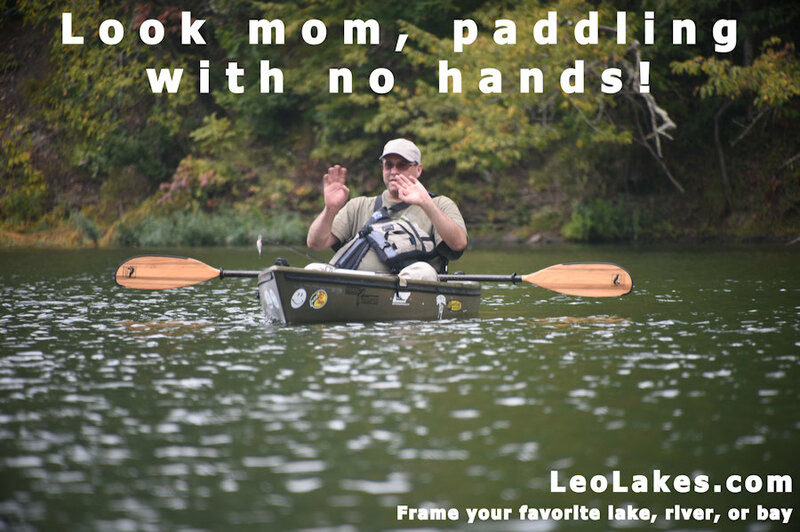 BaitRageous: Paddling with no hands! This is "Buttermilk" my fishing buddy paddling with no hands! Yes, he also runs with scissors, drank from a hose when he was a kid, played with lawn darts and swims right after eating. He sounds OK to me. Nothing I haven't done in the past, but then again I'm old and have done most of the stupid things already, like grabbing a shark.